We are one of the leading firms of Black Granite that is manufactured using the top quality raw material, sourced from trustworthy vendors of market. These granites are extremely demanded in the market for their stunning appearance and top quality. Due to high demand, we offer these products in diverse sizes and colors. Established in the year 2014, Granite Studio India is a renowned entity, engaged in the market as a Manufacturer, Supplier and Service Provider of Black Granite, Gray Granite, Red Granite, Green and Blue Granite, Cerise Granite, Brown Granite, White Granite, Yellow Granite etc. Our offered granites are used in numerous places like temples, hotels, homes, commercial complexes and other places to enhance the loveliness of exteriors and interiors. These granites are immensely recognized in the market for their characteristics such as scratch resistance, faultless finish, minimum water clogging, precise sizes and attractive colors. Keeping in mind worldwide quality norms, the offered granites are made using the top grade raw material and sophisticated technology. In order to carry out the best result, all these manufacturing procedure are supervised by industry expert professionals. Our experts work hard to know the variegated needs of our respected clientele and provide them the offered range of granites. 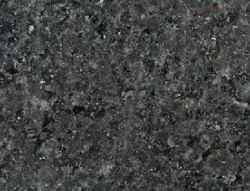 Also, we provide these granites in varied colors, sizes and designs as per the demands of our clientele.